One of the most important things in the business world today is data. Whether it’s customer data, sales data, employee data, whatever is important to you. A loss of critical data due to a failure in equipment can be crippling to any business. The data on your phone system is equally important. You can protect yourself with warranties in case of hardware failure. But what do you do to protect yourself against data loss, should the worst happen? Frequent automatic backups of important data play an important role in an IT manager sleeping at night. Digium Switchvox includes a handy tool for creating a system backup anytime you want by logging in as an admin then going to Server >** Backups > Create Backup**. You can also set your Switchvox system to do automatic backups and then offload them to an FTP server. 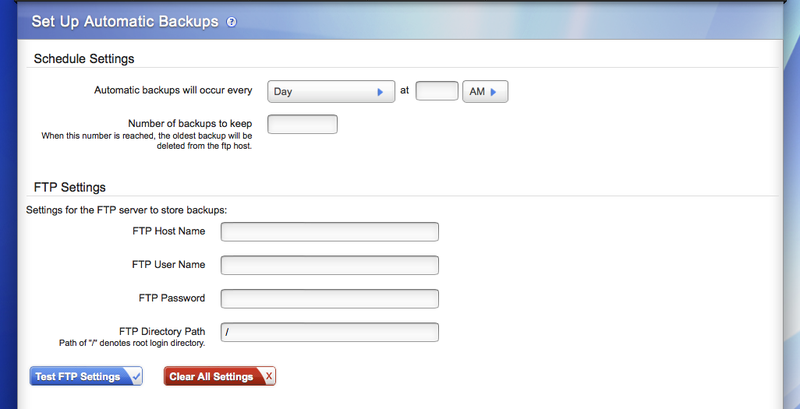 On the backups page click the Set Up Automatic Backups tab and you will be taken to a page where you can set your desired frequency, enter your FTP server information and choose which information will be included in the backups. Off loading backups also helps to save hard drive space on your Switchvox server. So remember to backup because you don’t want to be stuck rebuilding your system and affecting business when the worst happens.